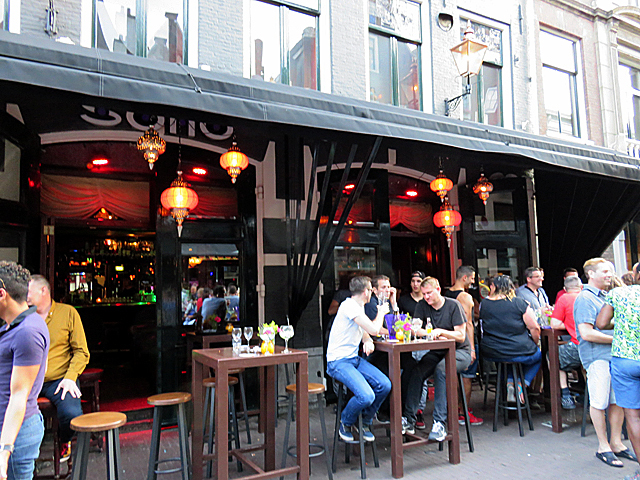 Soho is one of the biggest gay bars of Amsterdam and when DJs spin at night, the place turns into a vibrant gay club. Soho has a great classic style interior with fine wooden panelling and large mirrors. 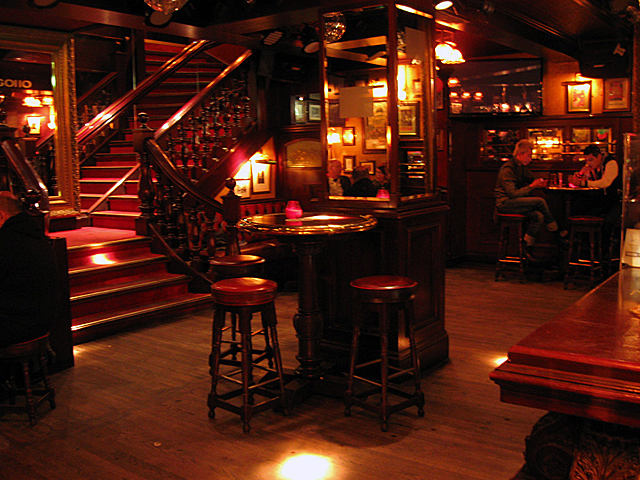 Through a stately staircase you reach the first floor, where there's a second bar and a smoking area. Cafe-club Soho is visited by a wide variety of gay and straight people, many of them youngsters and gay tourists from all over the world. Cafe Soho is located in a 18th century building, which served as a coach-house for the canal house on the Herengracht. 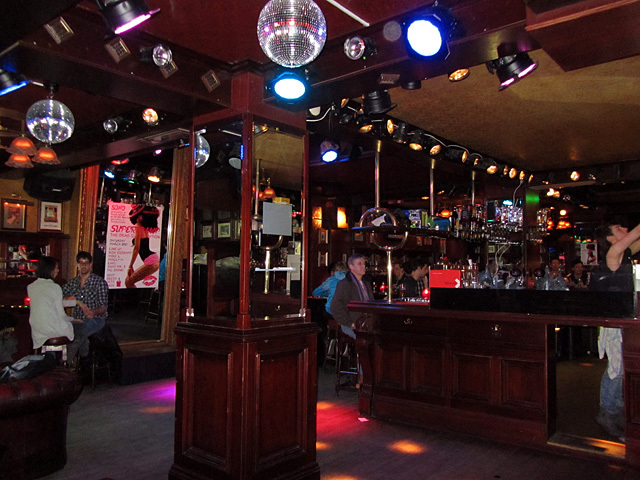 From 1982-1996 this building housed "36 op de schaal van Richter", which was made the most trendy and popular (straight) club of that time by Gert-Jan Dröge. 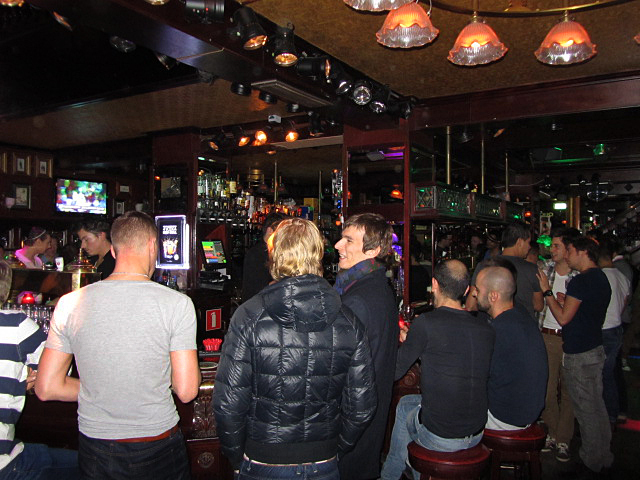 In 1996 the place was bought by bar-tycoon Sjoerd Kooistra, who turned it into gay pub Soho and decorated it in his own favorite classical English-American style. After the collapse of his company, Soho was closed on September 28th, 2010. The place was taken over by a new owner and was re-opened on March 3rd, 2011.